Article: How do you build a culture of engagement? How do you build a culture of engagement? Developing an engaging culture in the workplace does not solely depend on the right technology, or having the right total rewards strategy, although both elements are contributors. High employee engagement is on the minds of nearly all organizations across the globe, with Deloitte reporting that 87% of executives rate culture and employee engagement as their biggest HR challenge. But, how do we embark on the journey to increase employee engagement levels to create a more well-rounded and happy experience for our staff at work? Digital enablement, talent management, leadership and a focus on career development were found to be key elements in the employee engagement equation, according to a recent Oracle study. The study identified that only 49% say that their organization actively encourages promotion from within the organization, while less than half agreed that there is equal opportunity for advancement. With progression prospects like this, it is unsurprising there is a high rate of turnover within the APAC region. Link performance to development & rewards: Ensure that everyone’s development is linked to their personal goals, the business’s performance requirements, and the progression opportunities available to them. It is important to link performance to financial rewards, but also consider whether the employee performance goals are aligned with their own values and the values of your organization. 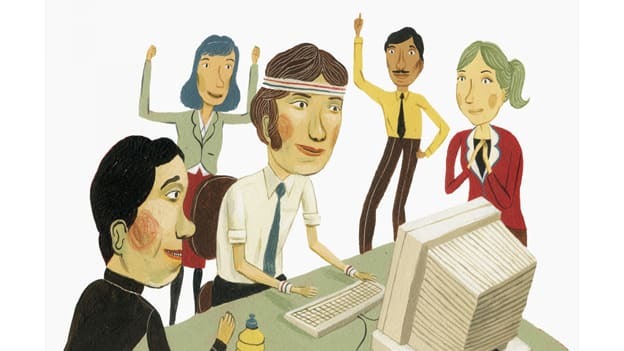 Invest in your employee’s well-being: Take an active interest in employee wellbeing. Work to understand what it really consists of, and strive to make everyone’s working lives as simple and comfortable as possible. A priority should be placed on creating a culture where employees can live their personal goals and values both at work and at home. Think Digital: Look at how experiences at every stage of the employee lifecycle could be improved digitally. We should look at how companies can mirror the interface and experience that we are familiar with as consumers, and work to apply this to HR - from recruitment of new talent, to on-boarding and ongoing career development. Align roles: Keep roles tightly aligned with business needs, and ensure everyone can see how their efforts are driving the business towards achieving its goals. In an increasingly ambiguous marketplace, understanding real time progress can enable teams to pivot when most necessary. Make leaders accessible to the workforce. Exposure to the leadership team is a great opportunity to not only ensure greater engagement, but it could also provide opportunities for the workforces to learn and develop. A great example of this strategy in motion is to use frequent interactions to create a constant feedback stream in between scheduled performance reviews to ensure engagement levels are kept as high as possible. Employees should always feel that they are working towards a greater goal, and they should clearly be able to see where their development plan is taking them. Engage them in the process through constant feedback and status check-in’s.